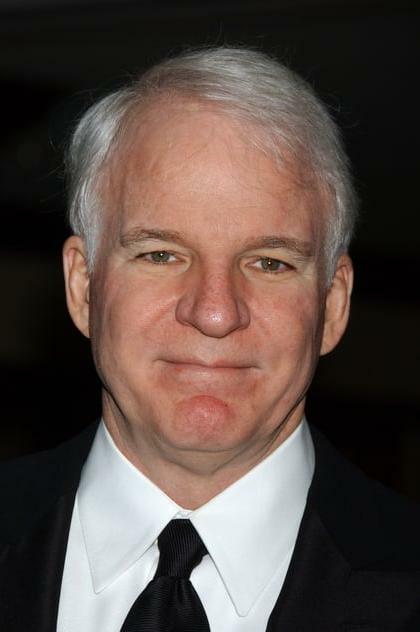 Stephen Glenn "Steve" Martin (born August 14, 1945) is an American actor, comedian, writer, playwright, producer, musician and composer. Martin was born in Waco, Texas, and raised in Southern California, where his early influences were working at Disneyland and Knott's Berry Farm and working magic and comedy acts at these and other smaller venues in the area. His ascent to fame picked up when he became a writer for the Smothers Brothers Comedy Hour, and later became a frequent guest on The Tonight Show. In the 1970s, Martin performed his offbeat, absurdist comedy routines before packed houses on national tours. Since the 1980s, having branched away from stand-up comedy, he has become a successful actor, playwright, pianist, banjo player, and juggler, eventually earning Emmy, Grammy, and American Comedy awards. Description above from the Wikipedia article Steve Martin, licensed under CC-BY-SA, full list of contributors on Wikipedia.